The first digital single from Controlled Dissonance features Six Ropes on Fire from the full length cd “Thoughts Made of Sound; Sounds Made of Hell” b/w Fire of the Ancients. The two tracks explore a harder side of Controlled Dissonance, melding harsh guitar experimentation with deep droning ambience, public domain recordings and manipulated tape loops. 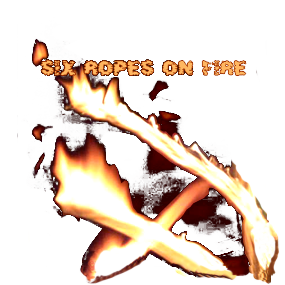 Video for Six Ropes on Fire available on the Videos page.